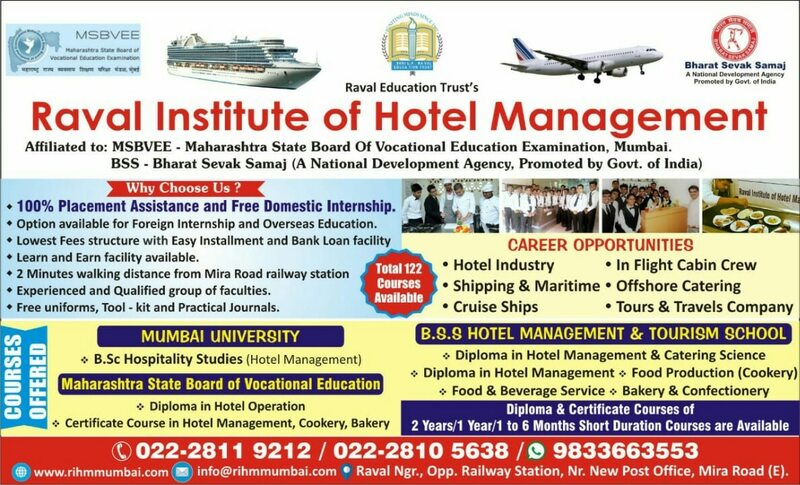 Hotel Management Degree Diploma in Mira Road Bhayandar At RIHM student gets Hands on Experience with Unique Learning atmosphere. Option open for Excellent Placement opportunity in India or Abroad. Qualified and Experienced teachers are Plying crucial role for overall development of students.